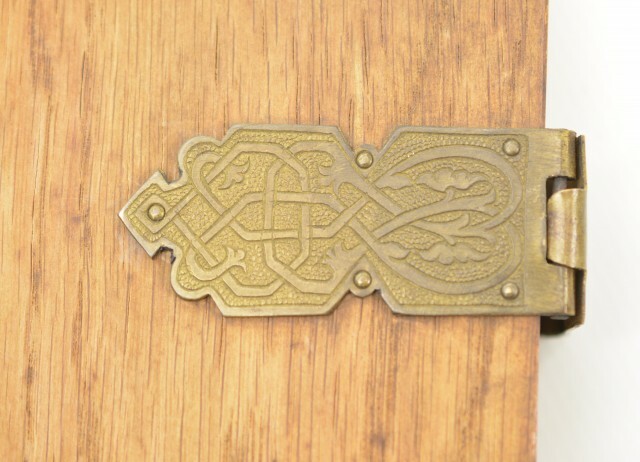 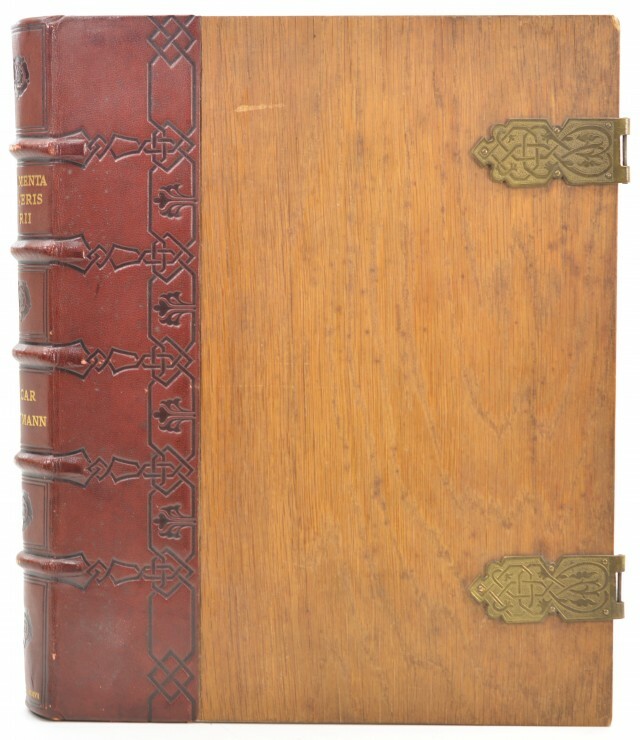 Description: This is a handsome book, bound in leather and wood in medieval style, complete with chased brass clasps on the cover. 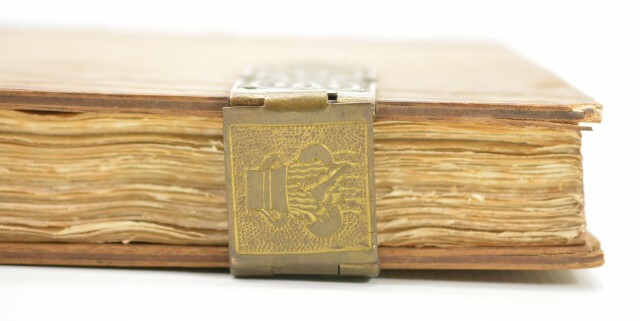 This is book no. 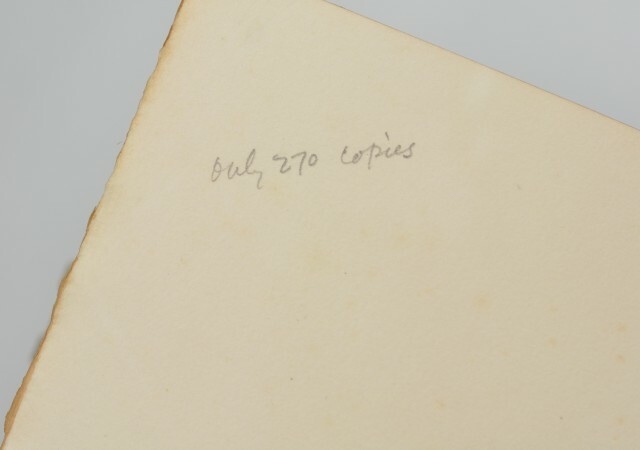 203 of a limited run of only 270 copies published in 1906 on hand-made heavy paper by the Artists Press, London. 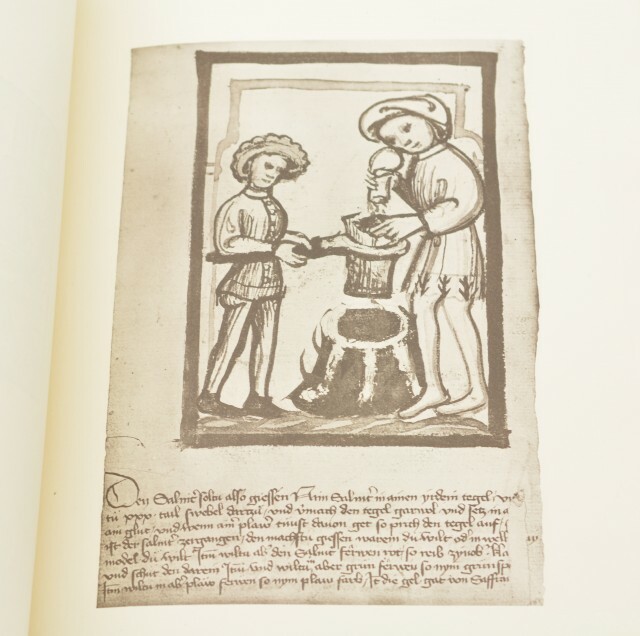 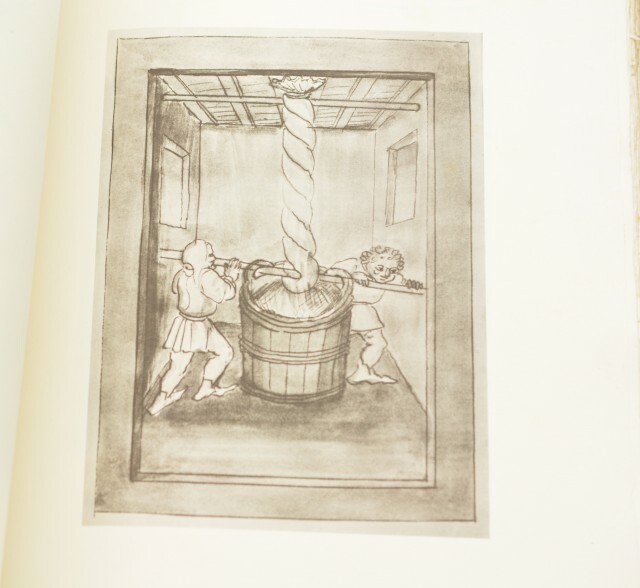 The book is a collection of various artistic works through history depicting the discovery and manufacture of gunpowder (94 plates) with captions and descriptions printed in English, German, and French. 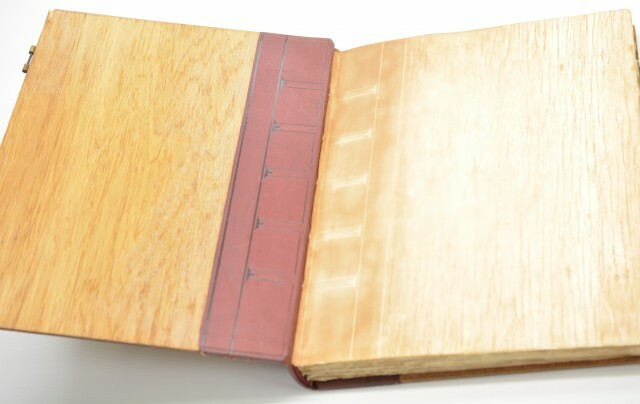 The book is in fine condition with some mild foxing and toning on the pages, most noticeably on the end-papers which have been in contact with the leather and wood of the cover. 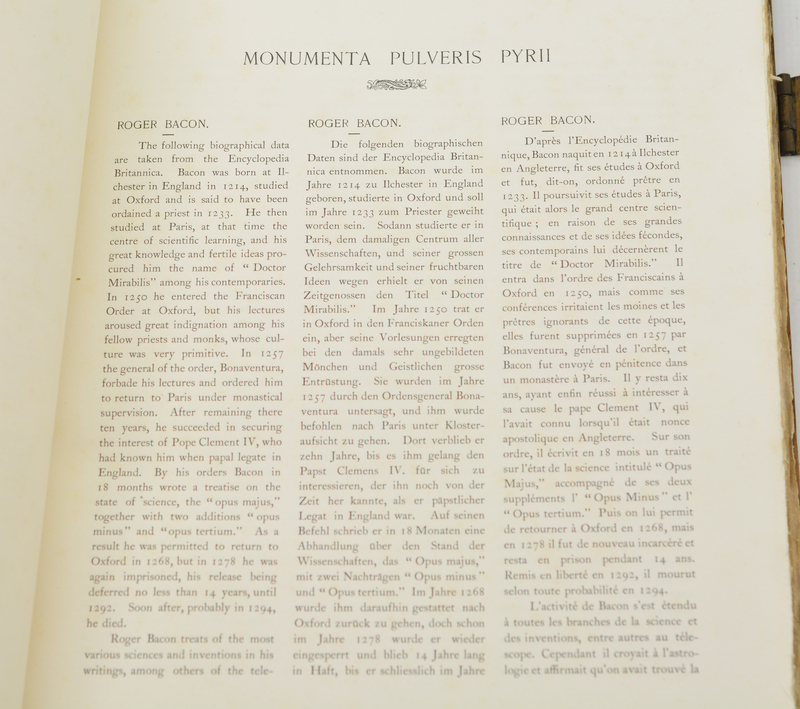 The author; Oscar Guttmann, M.Inst.C.E., F.I.C., F.C.S (1855-1910), was a respected civil engineer who had designed many large water and drainage systems in addition to being an acknowledged expert on gunpowder and explosives. According to his short foreword, his goal in publishing this volume was to, "...present to my colleagues and to historians an artistically executed collection, published without intent to profit, of old pictorial representations referring to gunpowder." This is a wonderful and well-made book, worthy of any collection, and in fine condition.